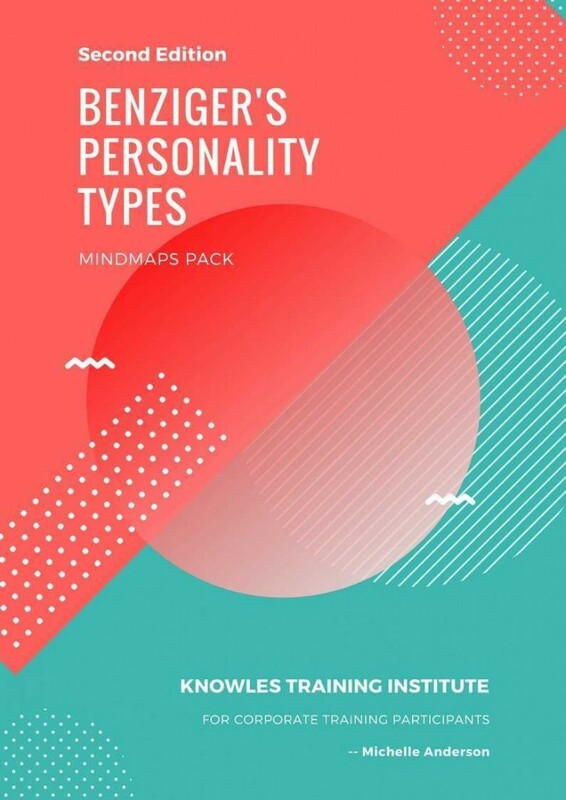 Benziger’s Personality Types is an assessment tool used to scientifically determine predominant areas used by the brain to correlate with thinking patterns and response to stimulus. Business professionals need to learn how to utilize these assessment tools in order to determine the innate strengths and weaknesses of co-workers. 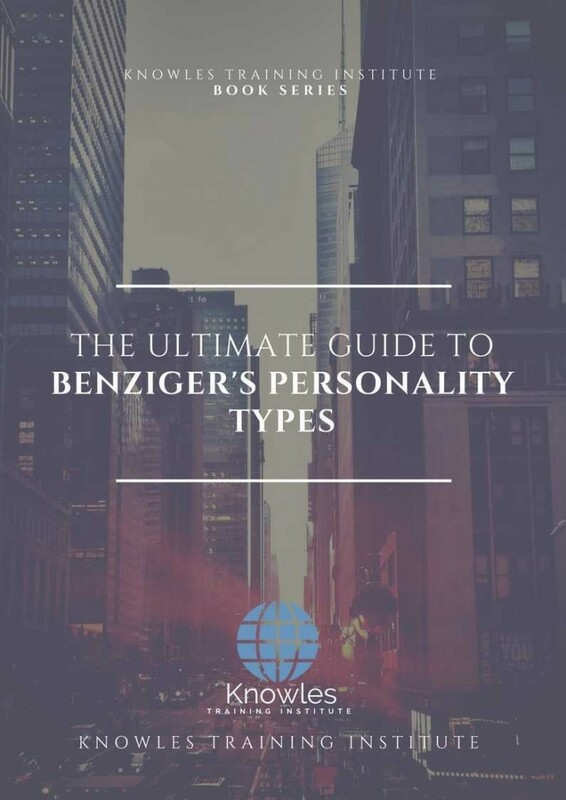 Learning Benziger’s Personality Types is necessary for effectively determining the innate strengths and weaknesses of co-workers in order to properly distribute tasks according to capability. This Benziger’S Personality Types workshop is ideal for anyone who would like to gain a strong grasp and improve their Benziger’S Personality Types. The duration of this Benziger’S Personality Types workshop is 1 full day. Knowles Training Institute will also be able to contextualised this workshop according to different durations; 2 full days, 1 day, half day, 90 minutes and 60 minutes. How does the Benziger’s model work? What is Division of Labour? 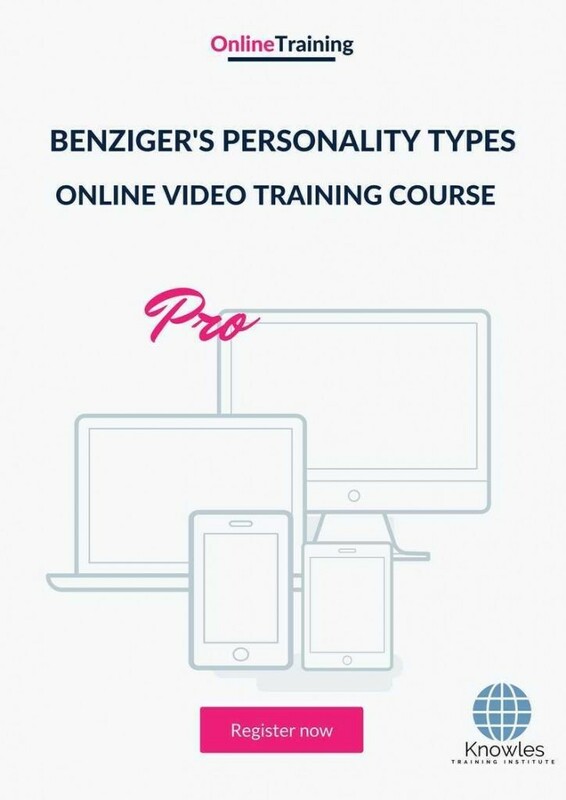 There are 3 pricing options available for this Benziger’S Personality Types training course. 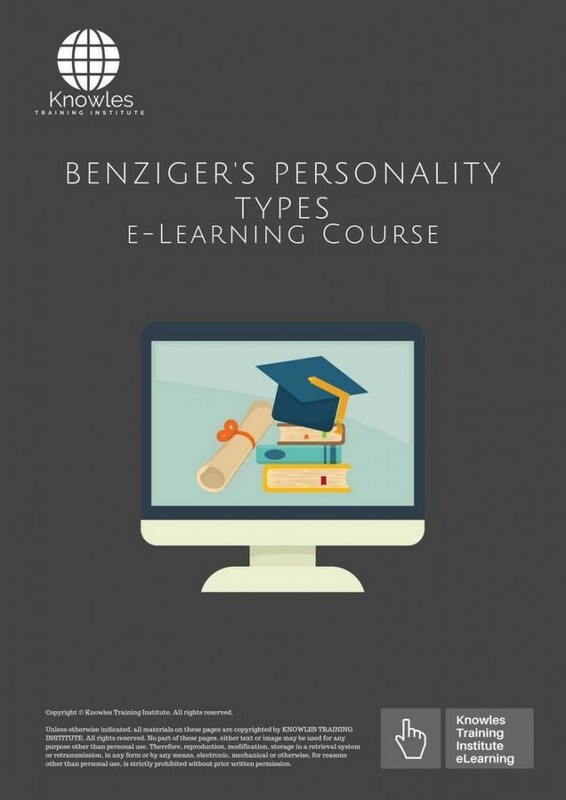 Course participants not in Singapore may choose to sign up for our online Benziger’S Personality Types training course. Request for thisBenziger’S Personality Types course brochure. Fill up the short information below and we will send it to you right away! 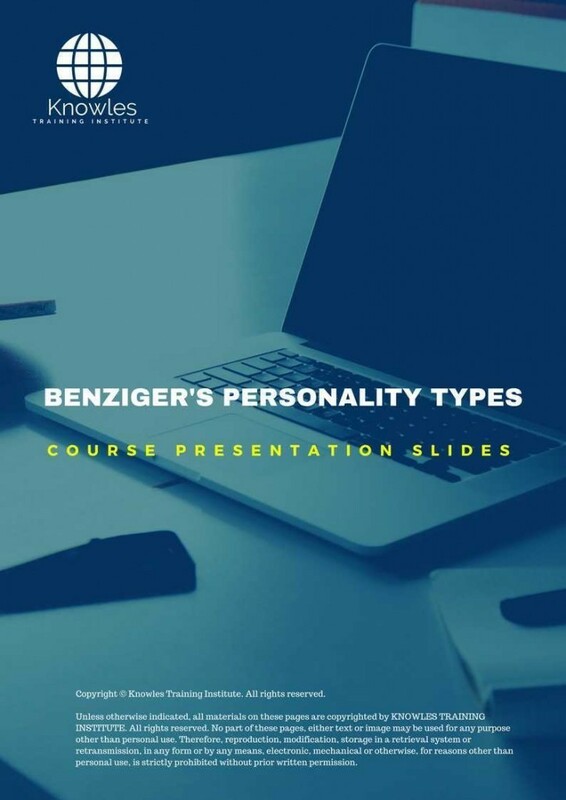 Register For This Benziger’S Personality Types Course Now! 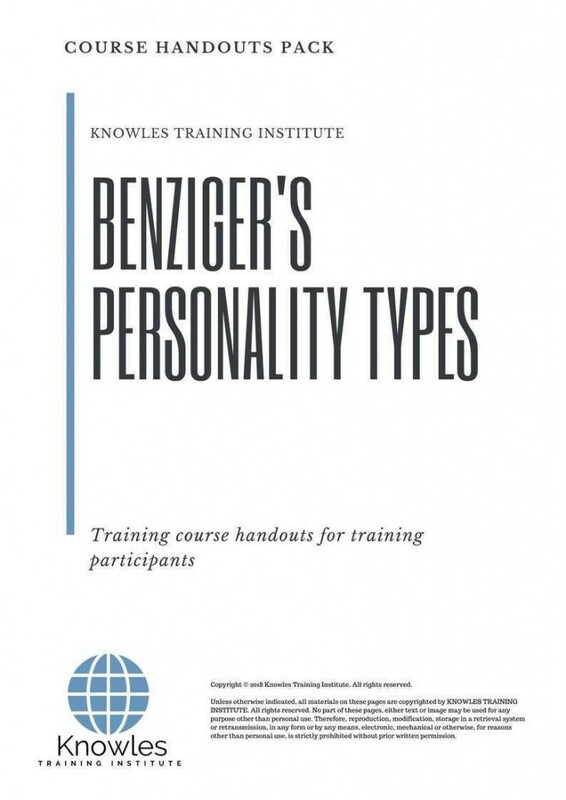 Share This Benziger'S Personality Types Training Course! 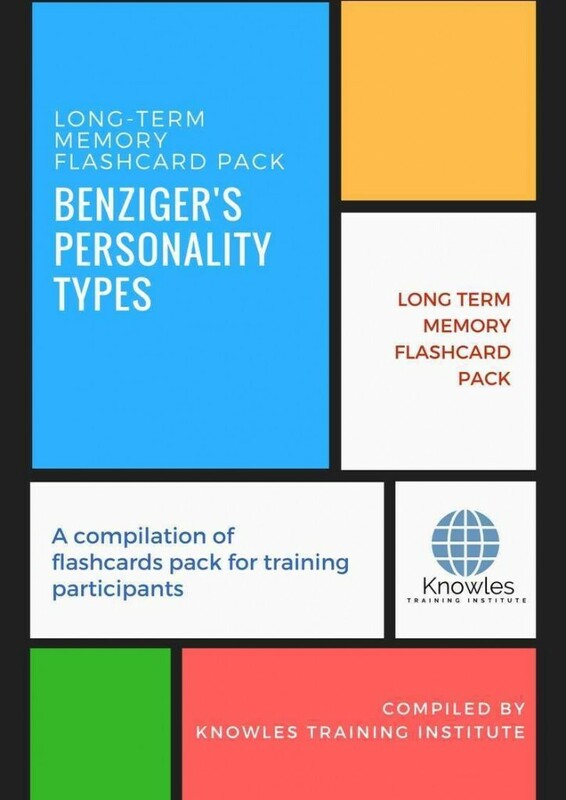 Benziger’S Personality Types course, workshop, training, class, seminar, talk, program, programme, activity, lecture. 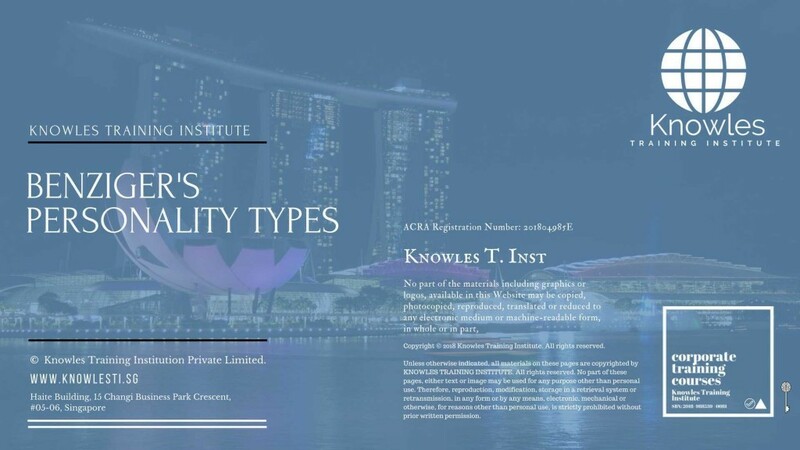 Benziger’S Personality Types courses, workshops, classes, seminars, talks, programs, programmes, activities, lectures in Singapore. Benziger’S Personality Types improvement tips, Benziger’S Personality Types techniques, improve Benziger’S Personality Types, improve Benziger’S Personality Types games, Benziger’S Personality Types improvement exercises, improve Benziger’S Personality Types power, how to have good Benziger’S Personality Types, how to have good Benziger’S Personality Types in studying, how to build up your Benziger’S Personality Types, how to improve Benziger’S Personality Types how to improve Benziger’S Personality Types course in Singapore. Enhance, boost, build up, enlarge, heighten Benziger’S Personality Types course in Singapore. Increase, intensify, raise, reinforce, strengthen Benziger’S Personality Types. 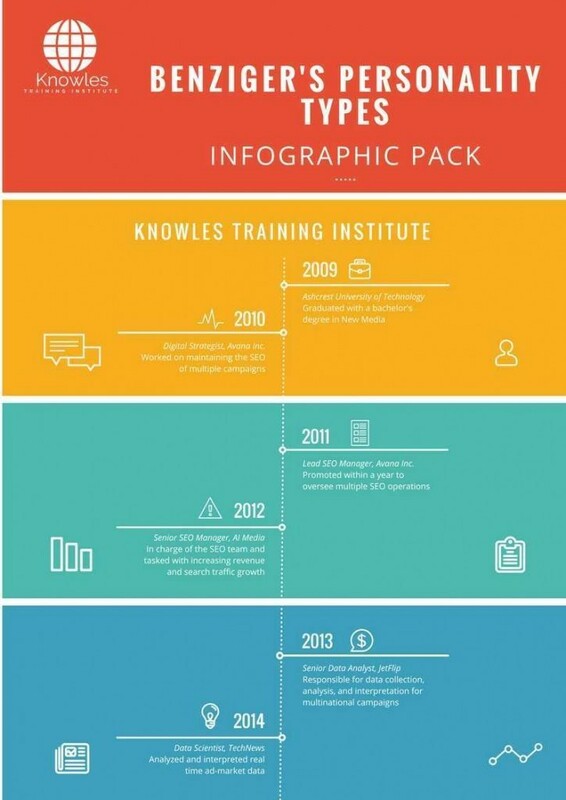 Upgrade, amplify, boom, elevate, exaggerate, magnify, grow, gain Benziger’S Personality Types. 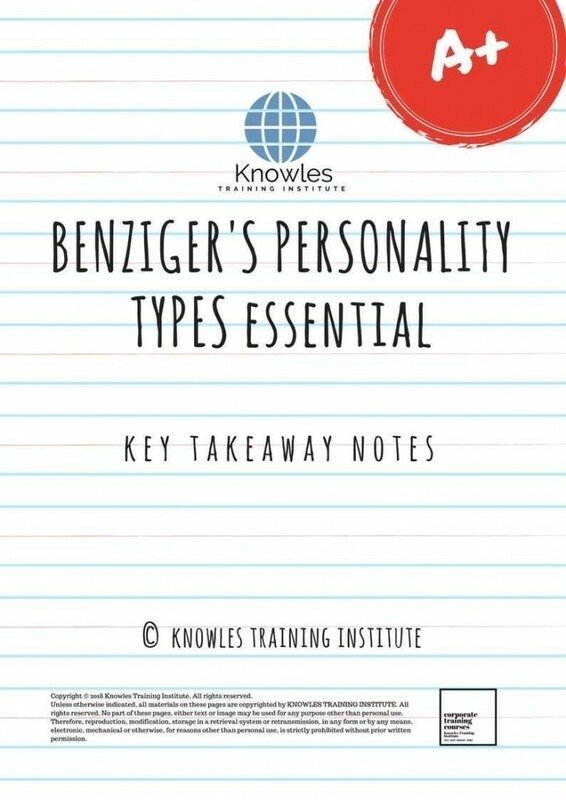 Develop Benziger’S Personality Types, multiple, power up, beef up, bolster, establish, extend Benziger’S Personality Types. Invigorate, restore, step up, toughen, empower, fortify, regenerate Benziger’S Personality Types. 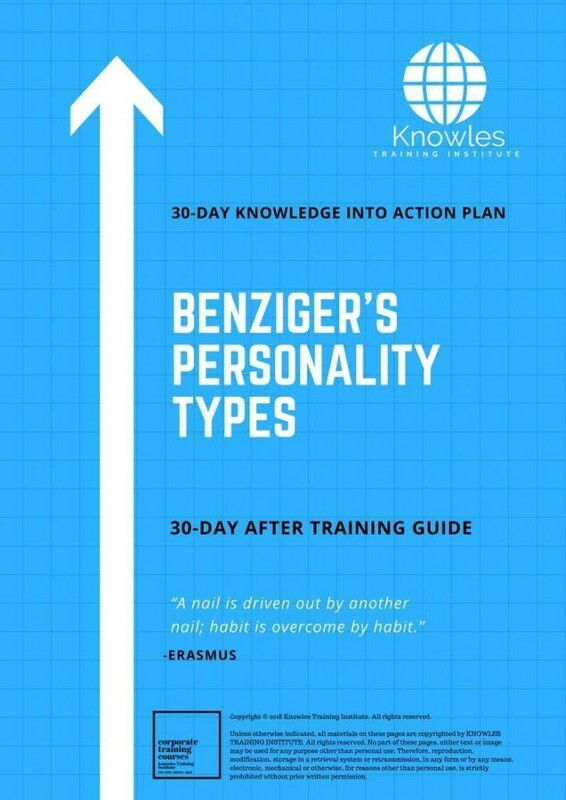 Rejuvenate, renew, escalate, expand, maximize Benziger’S Personality Types. Powerful, mighty, impressive, competent, great, excellent, exceptional Benziger’S Personality Types in Singapore. 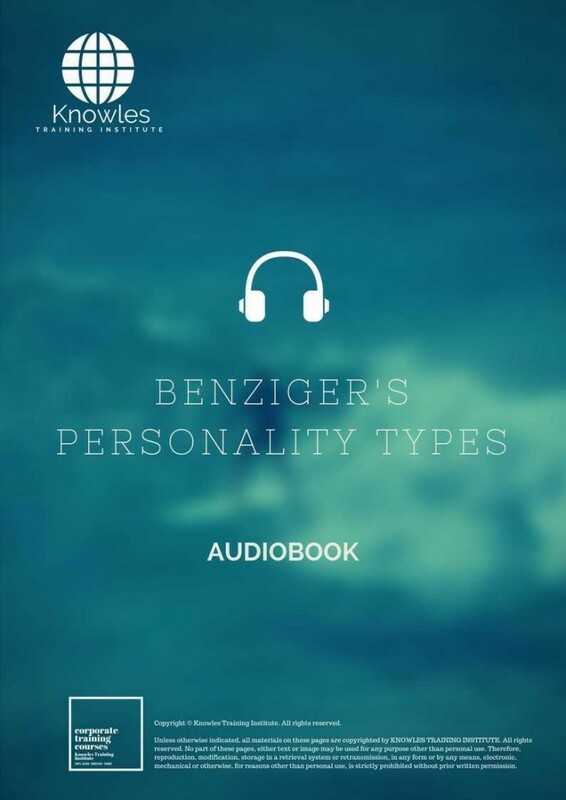 Superb Benziger’S Personality Types. 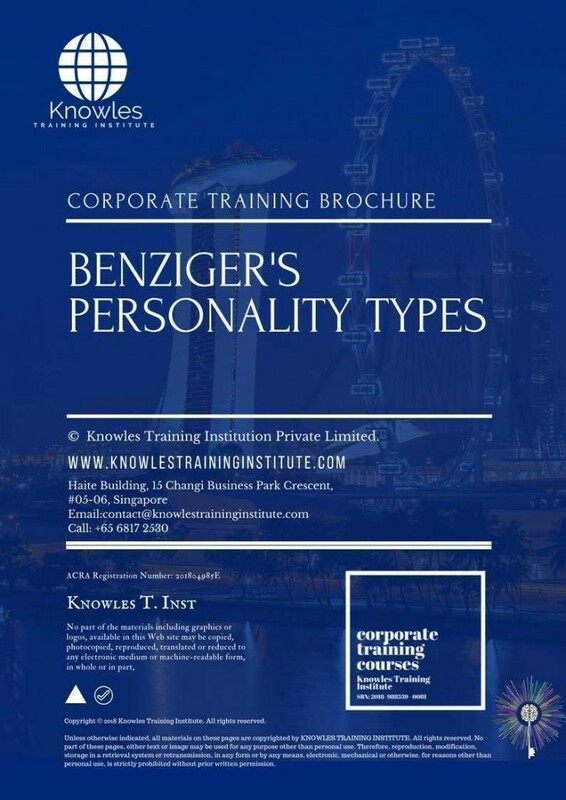 Super, superior, strong, solid, active Benziger’S Personality Types training courses and workshops in Singapore. Benziger’S Personality Types enhancement, booster, building up, enlargement, heightening, increment, strengthening, amplification. Benziger’S Personality Types magnification, growth, development, power, empowerment, regeneration. Benziger’S Personality Types rejuvenation, development, escalation, expansion. 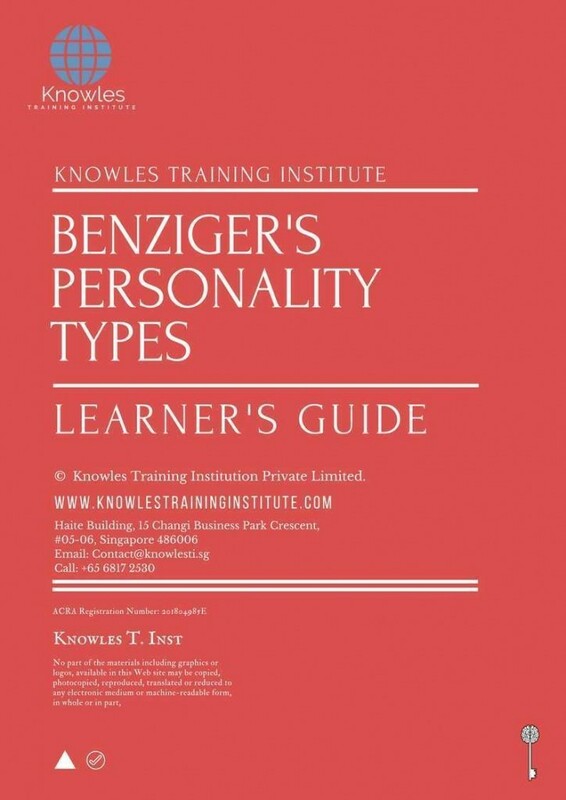 Benziger’S Personality Types maximization, power training courses & workshops in Singapore.